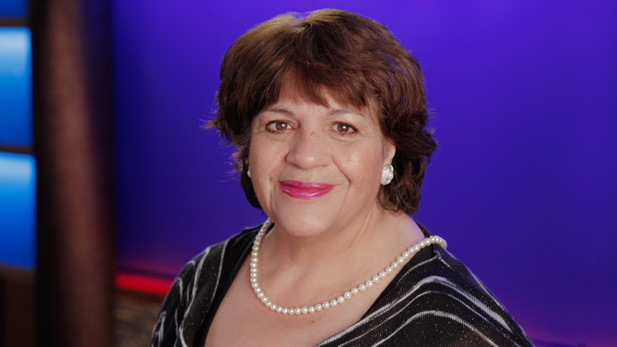 Columbia Dupont Silver Baton winning journalist Nancy Montoya joins Arizona Public Media with more than 35 years of major market and network newsroom experience. Nancy is an Arizona native, and has worked as a reporter at KVOA, KGUN and KOLD. Her area of expertise is Immigration and U.S./Mexico Border issues. Nancy pioneered a Latin America News Bureau that included 15 other TV newsrooms from around the country. Her reporting on the "Death Squads" in El Salvador and Nicaragua garnered her the Alfred I. DuPont-Columbia University Silver Baton. Nancy has won 6 Emmys, a Peabody, and several other international broadcast awards for her reporting. Nancy is married to fellow producer Kirt Ijams, together they have two sons and own Media Source America which produces independent documentary projects.